For our April downline meeting Diva Day, we swapped! No surprise, right?!!! The theme was Masculine. boy did I mess up on that one....I got confused on what the blog themes and meeting themes were. Oh well, mine was an Easter swap and I am sure it came in handy for some folks. I already posted it weeks ago. 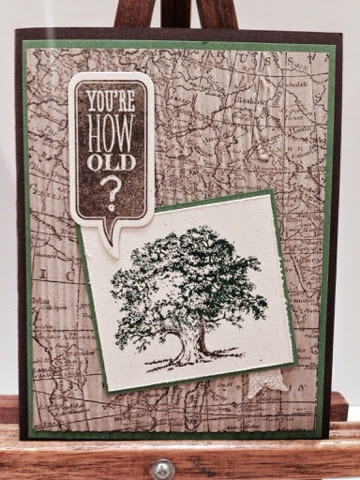 Above is Julianne's card. So funny, she is great at saving scraps and reusing them for a later purpose. I just do not usually have that kind of patience. The center piece is leftover from a previous project. Perfect right? Autumn's card. I got the victrola crooked on my sample. It's handmade, right? 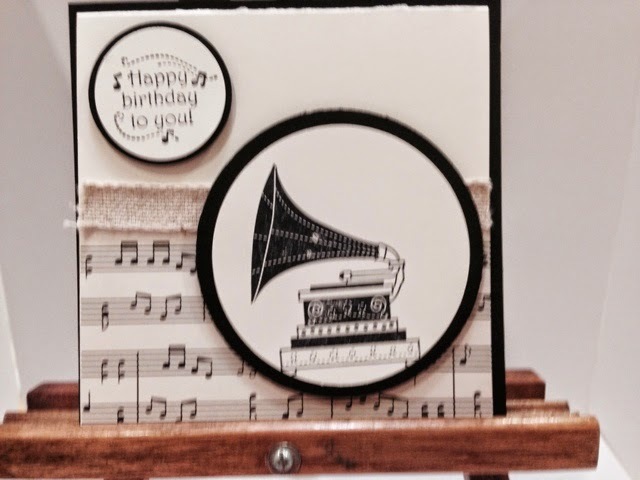 this woud be a great card to give my music loving hubby. Hmm...shhhh. 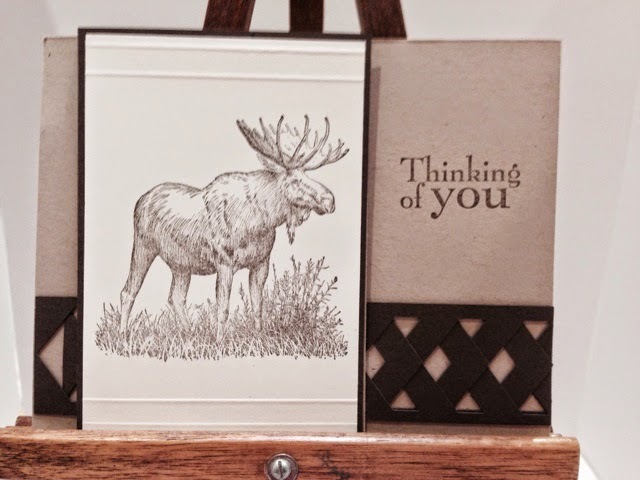 Cyndi's card. 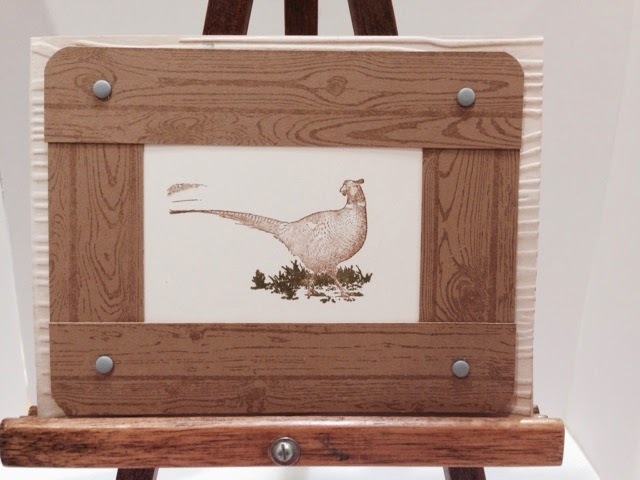 Great great idea using the woodgrain background stamp and cutting it and rounding the corners to make a faux wood frame. I may have to come back to this technique. Deb's card using the faux lattice technique using the chevron punch two strips and weaving them together. 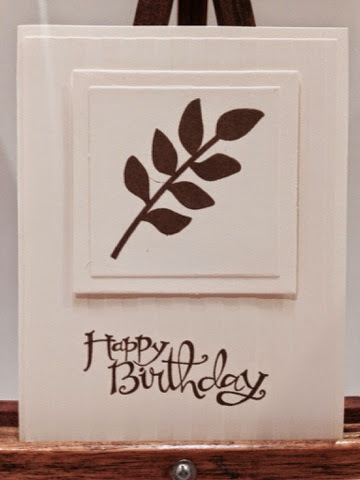 Pam's card uses the World Map background stamp. 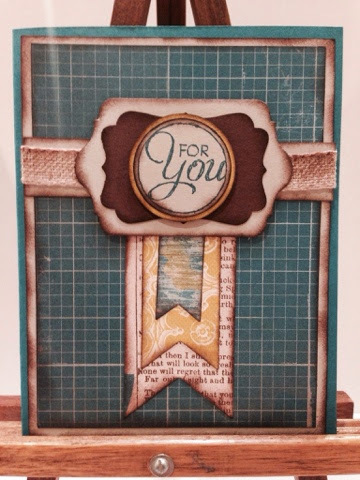 Sue's swap uses a great tone on tone look. 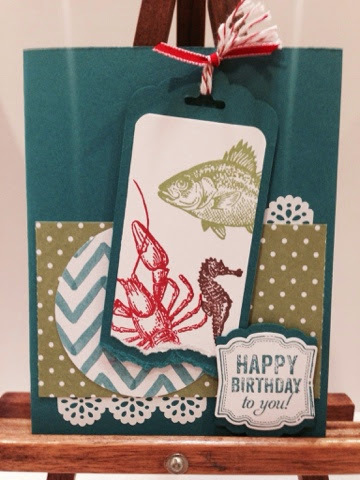 Amy's card is vibrant and great for the fishing people in your life. 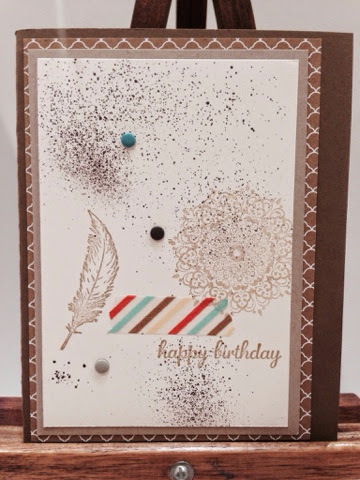 Kathleen's card uses some great texture and washi tape. Gotta love that. 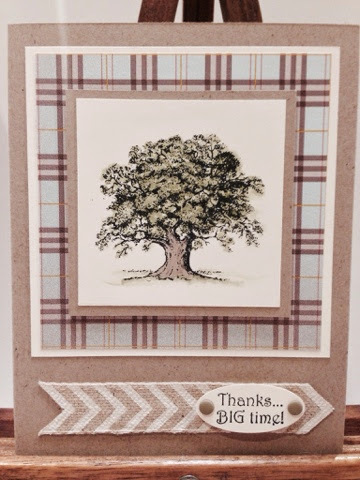 Vicki's card uses the always in fashion, oldest stamp set in the catalog, Lovely as a Tree, and the new burlap chevron ribbon, cut! Thanks ladies. 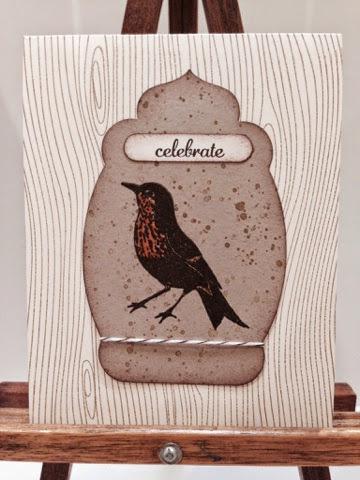 You are all such awesome stampers! Happy to be in your company.